The Atkinson-Shiffrin theory describes and explains some of the processes involved in storing and retrieving information in human memory. Here we examine predictions of related models for search and decision processes in recognizing information in long-term memory. In some models, recognition is presumably based on a test item’s familiarity judgment, and subsequent decisions follow from the sensitivity and decision parameters of signal detection theory. Other models dispense with the continuous notion of familiarity and base recognition on discrete internal states such as relative certainty that an item has or has not been previously studied, with an intermediate state of uncertainty that produces guesses. Still others are hybrid models with two criteria located along a familiarity continuum defining areas for rapid decisions based on high or low familiarities. For intermediate familiarity values, the decision can be delayed pending the results of search for, and occasional recollection of, relevant episodic information. 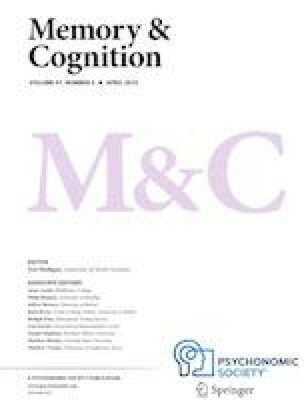 Here we present the results from a study of human recognition memory for lists of words using both response time and error data to construct receiver-operating characteristic (ROC) curves derived from three standard methods based on the same data set. Models are evaluated against, and parameters estimated from, group as well as individual subjects’ behavior. We report substantially different ROC curves when they are based on variations in target-word frequency, confidence judgments, and response latencies. The results indicate that individual versus group data must be used with caution in determining the appropriate theoretical interpretation of recognition memory performance. Atkinson, R. C., & Shiffrin, R. M. (1971). The control of short-term memory. Scientific American, 225, 82-90. doi: https://doi.org/10.1038/scientificamerican0871-82 .